Black and White sophistication or just a great combo? Carla at Creatin' in the Sticks has set up this great Blog Hop to start off the year. 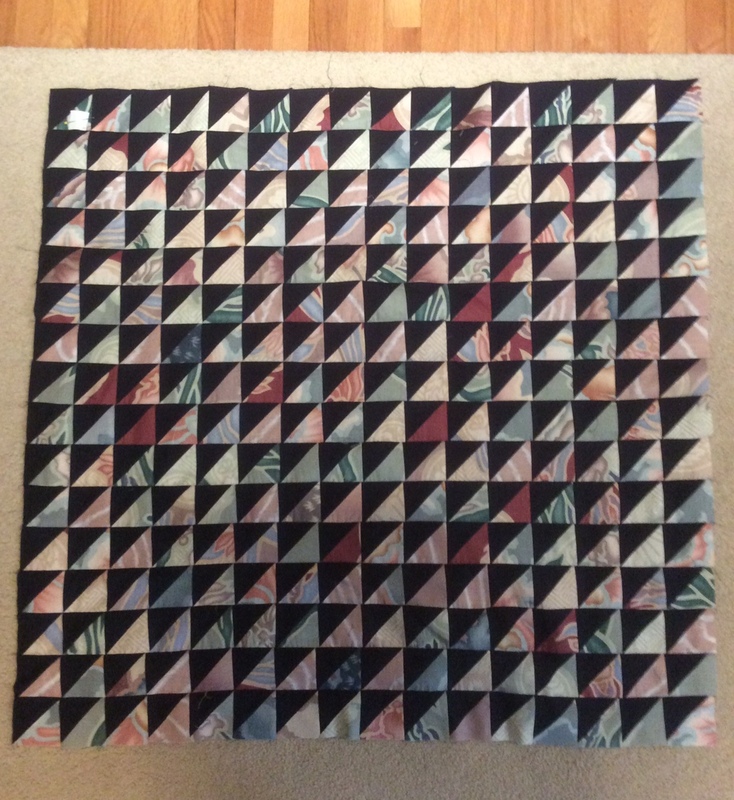 I decided to use one of my test quilt tops for my entry. 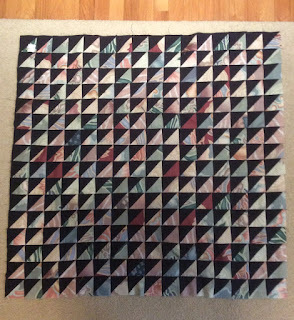 The quilt pattern I am using is called Modern Churn and was designed by Tammy of Tamarinis Quilts (here). She has kindly offered a paper copy of the pattern to be given out to someone who leaves a comment on this post. I will draw the winners name at noon on Friday January 25th. 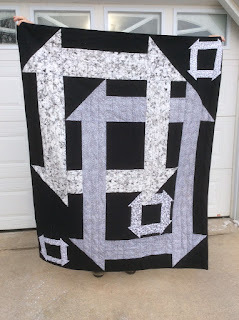 I did straight line quilting to finish this off. 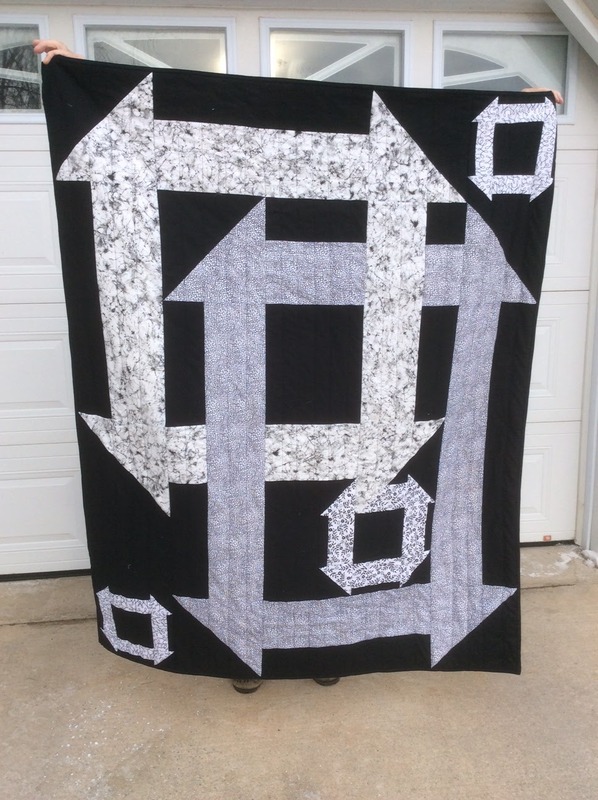 My stash of black with white and white with black is fairly extensive so used Kona Black for my background and a selection of white with black prints for my "churns"
My finished quilt is a good size. Hubby had to stretch to hold it off the ground. To say that the last days of 2018 were difficult would be a mild understatement. I am still recovering and likely will be for a while. My best friend and quilting buddy passed away unexpectedly on December 21st. There is one giant hole in my heart. We first got to know each other as work colleagues and then as friends and finally as quilting buddies. 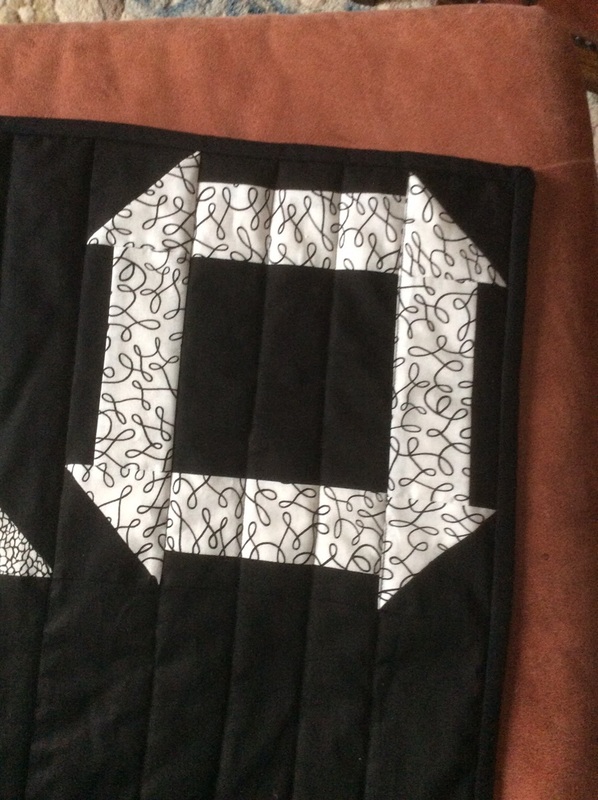 So while I could not do anything that required focus I did stitch together a couple of quilt tops.